As a result of building a new school hall (architects Stride Treglown Ltd) an opportunity rose to create a new quad. 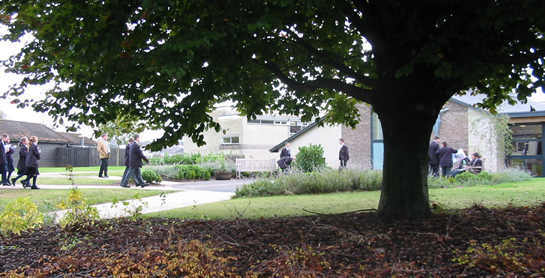 This included new paths and `bunding`, planting and seating and two new roundabouts within the school grounds, both of which act as a focus and a hub for the school community. 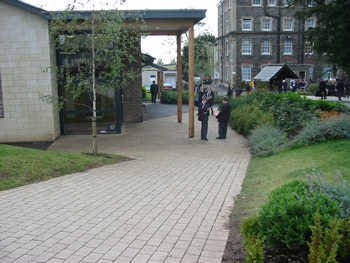 Circulation both on foot and for the few vehicles in the grounds are considerably improved, as well as making the heart of the school more attractive and comfortable. This was achieved by a combination of studying and acting on patterns of movement, opening up spaces to create gathering points, and providing seating, and planting to be enjoyed throughout the year, and increasingly as the plants mature to create green rooms, and a sense of well being.